16th Century: Moriori adopt a covenant of peace forbidding war and killing. 1840: Maori chiefs of New Zealand and the Queen of Britain (represented by Governor Hobson) sign Te Tiriti o Waitangi, providing the basis for peaceful co-existence of indigenous people (tangata whenua) and settlers (tau iwi). 1881: Te Whiti and Tohu non-violently resist illegal confiscation of Taranaki lands. 1945: New Zealand is at the founding conference of the United Nations in San Francisco. The principal aim of the UN is to save humanity from the scourge or war. 1951: ANZUS Treaty signed. New Zealand and Australia accept extended nuclear deterrence as part of the security alliance with the US. 1957-58: NZ navy participates in UK nuclear tests at Christmas Island to show New Zealand’s support for the tests. 1959: NZ changes policy on nuclear tests, and votes against them at the United Nations. 1963: USA, USSR and UK adopt the Partial Test Ban Treaty agreeing to no longer conduct nuclear tests above ground, in the water or in the atmosphere. France and China do not sign, and continue with atmospheric nuclear tests. 1966: France commences nuclear tests in the Pacific. 1972-73: The Vega (Greenpeace boat), the Fri and the Boy Roel sail to Moruroa to protest nuclear tests. 1973: The new Labour government sends a naval vessel to French Polynesia to protest the nuclear tests. New Zealand and Australia lodge cases in the International Court of Justice against French atmospheric nuclear tests. The court adopts an interim injunction against nuclear tests until the case is concluded. 1975: National government elected and renews invitation to the US, France and UK to send nuclear armed ships to visit New Zealand. 1976-84: Anti-nuclear protests and actions increase, especially in the 1980s. This included the Peace Squadron which attempted to blockade nuclear-armed vessels as they entered New Zealand harbours, a successful campaign to make city councils nuclear-weapon-free, and the establishment of over 300 local peace groups joining the campaign to make New Zealand nuclear-free. 1981: Peace Movement New Zealand (later renamed to Peace Movement Aotearoa) is established to build cooperation and coordination between the campaigns and actions. 1983: The Peace Foundation establishes the Media Peace Awards, to highlight important media contributions to peace. 1984: Marilyn Waring (National Party) announces that she will ‘cross the floor’ to vote with the opposition on a private members bill to make New Zealand nuclear free. As National only holds a one-vote majority, this could mean the success of the bill in contravention to National’s pro-nuclear policy. Prime Minister Muldoon facing a possible defeat, calls a snap election. 1984: An international anti-nuclear conference entitled ‘Beyond ANZUS’ is held in Wellington, with the aim to strengthen support for a nuclear-free policy and reduce concerns about ANZUS dissolving if New Zealand became nuclear-free. 1984: A Labour government is elected with a policy of prohibiting nuclear weapons in NZ. This creates a diplomatic falling out with the US, resulting in the US announcing that ANZUS was no longer operable. 1984: The Mobile Peace Van is launched by Russel Marshall, Minister of Education. It travels around NZ schools helping develop peace education programs in the classroom. 1985: US President Ronald Regan initiates a boycott (trade ban) on NZ dairy products in retaliation for NZ prohibiting US nuclear warships. US women’s groups and peace organisations respond by launching a ‘girlcott campaign’ to buy NZ nuclear free dairy products. The US congress refuses to back the President’s boycott and it lapses. 1985: The French secret service detonates two explosive mines on the Rainbow Warrior, sinking the boat and killing a crew-member. NZ arrests and convicts two of the French agents. France responds with boycotts on NZ products. NZ requests mediation from the UN. The mediation resolves the dispute. France agrees to pay compensation to NZ, Greenpeace and the family of the person killed. The two French agents are transferred to French Polynesia to serve their sentences. 1985: The Department of Education develops and adopts Peace Studies Guidelines, developed with the assistance of an advisory group that included a number of members of the Peace Foundation. 1986: Peace groups commemorate the UN International Year for Peace with activities around the country. The Mobile Peace Van wins the UN International Year for Peace Award. 1986: Rarotonga Treaty (South Pacific Nuclear Weapon Free Zone) is negotiated. 1987: Parliament adopts the NZ Nuclear Weapon Free Zone Act which prohibits nuclear weapons and establishes a Minister for Disarmament and Arms Control (the only one in the world). 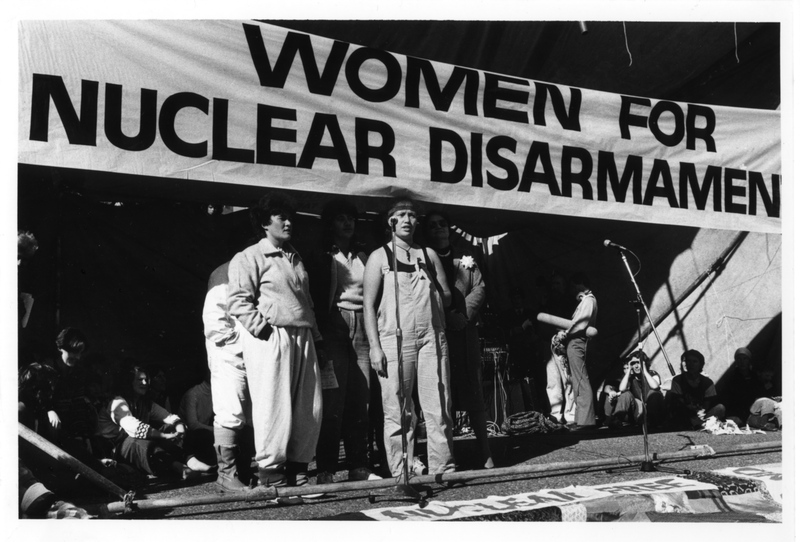 1987: Peace March for a Nuclear-Weapon-Free Aotearoa takes place. The march is successful in its call for people to elect parties/candidates who support the nuclear-free legislation. 1989: Our Planet in Every Classroom established. Over 5,000 posters of planet Earth are distributed to classrooms around the country to build global consciousness, and support for peace and the environment. 1990: National Party changes its policy to now accept the nuclear-free legislation. 1991: The Peace Foundation establishes the Cool Schools Peer Mediation Program, based on experience learned from the California Schools Peer Mediation Program. 1992: New Zealanders Harold Evans, Kate Dewes, Erich Geiringer, Alyn Ware and others convince three international organisations (International Peace Bureau, International Association of Lawyers Against Nuclear Arms and International Physicians for the Prevention of Nuclear War) to launch the World Court Project – a campaign to take the issue of nuclear weapons to the International Court of Justice. 1992: New Zealand is elected to a 2-year term on the UN Security Council (for 1993-1994). The successful election is attributed to New Zealand’s anti-nuclear policy, which drew the respect from the majority of UN member states, most of whom are non-nuclear. 1994: The UN General Assembly adopts a resolution to request the ICJ to render consider the legality of the threat or use of nuclear weapons. New Zealand (under a National government) is one of only two Western countries to vote in favour (the other was San Marino). 1995: New Zealand anti-nuclear activists propose and help establish Abolition 2000, the global network to eliminate nuclear weapons. The network is established at the 1995 Non-Proliferation Treaty Review and Extension Conference at the United Nations in New York. 1995: New Zealand re-lodges a case in the ICJ against French testing, arguing that the 1974 case should also apply to underground tests. The court turns down the case, but the political pressure generated by this, and other actions, moves France to end its nuclear testing program and join negotiations for a Comprehensive Nuclear Test Ban Treaty. 1996: The ICJ announces its decision on the nuclear weapons case – affirming that the threat or use of nuclear weapons would generally be illegal, and that there is an obligation to negotiate for complete nuclear disarmament. 1997: New Zealand lawyers lead the drafting of a Model Nuclear Weapons Convention – an international treaty to abolish nuclear weapons. UN Secretary-General Kofi Annan circulates this as a UN document to assist in multilateral negotiations for nuclear disarmament. 1998: New Zealand government establishes the New Agenda Coalition (NAC) with the governments of Brazil, Egypt, Ireland, Mexico, Slovenia, South Africa and Sweden. 2000: NAC is instrumental in moving States Parties to the NPT to agree to 13 nuclear disarmament steps, including an unequivocal commitment to achieving a nuclear-weapon-free world. 2000: Prime Minister Helen Clark launches the Global Campaign for Peace Education in New York during the time of the UN Millennium Summit. 2002: Helen Clark receives the Nuclear Free Future Award, an international award established by European organisations. 2003: David Lange receives the Right Livelihood Award (‘Alternative Nobel Peace Prize’), an international award presented in the Swedish Parliament. 2003: New Zealand parliamentarians and activists propose, and help establish, Parliamentarians for Nuclear Non-proliferation and Disarmament – a global network of legislators working for a nuclear-weapon-free world. Marian Hobbs, former NZ Minister for Disarmament, is one of the founding Co-Presidents. 2003: The government supports the proposal of the Peace Foundation to establish an annual Schools Peace Week, to coincide with Hiroshima Day (August 6), Nagasaki Day (August 9) and the International Youth Day (August 12). 2009: World March for Peace and Non-violence begins in New Zealand with a blessing ceremony at Rekohu (Chatham Islands) and then start of the march on Oct 2 (Gandhi’s birthday) from the statue of Gandhi outside the Wellington main train station. 2009: The National Centre for Peace and Conflict Studies is established at the University of Otago. 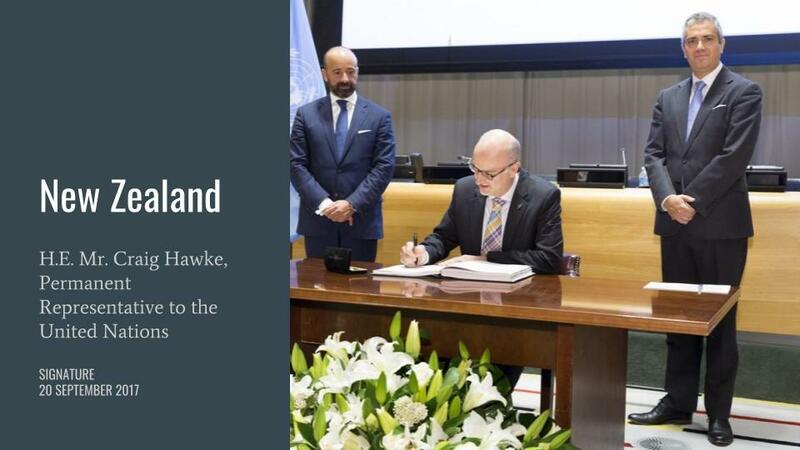 2013-14: New Zealand government leads a global intergovernmental statement on the humanitarian impact of nuclear weapons, and secures the support of 159 countries for it.